Charles has long experience fishing and camping in the Northeast. Catfish are a group of bottom-feeding fish that are found in freshwater habitats and coastal regions on and around every continent in the world except Antarctica. Although catfish can generally be found in faster-flowing rivers and streams, some catfish species have adapted to reservoirs, shallow salt water, and underground caves. 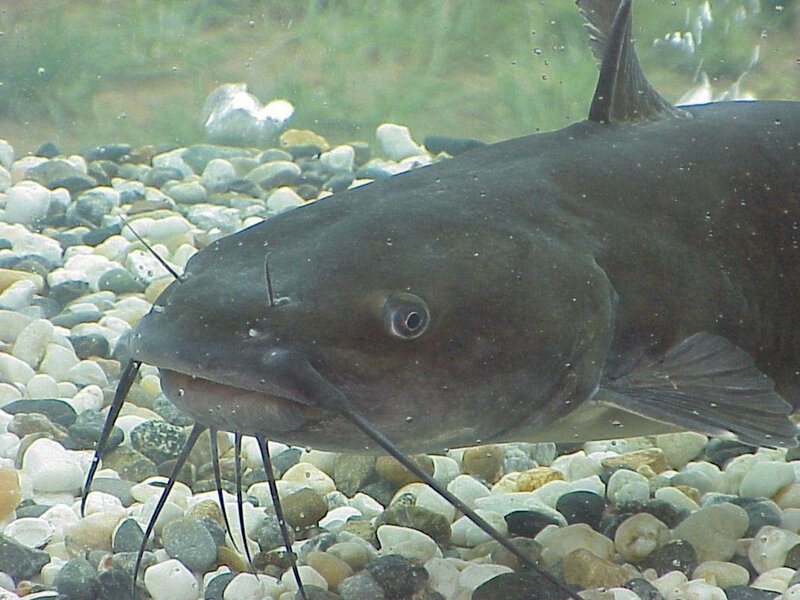 Catfish are most easily identified by their flattened broad heads and the long whisker-like barbs that protrude from the mouth of most species of catfish. The long barbs of the catfish contain the taste buds of the catfish. The fish use the barbs to smell and therefore sense what there is to eat (and to hide from) in the surrounding waters. There are nearly 3,000 known species of catfish in the world, but there may be as many as 4,500, as many are found in areas where there is little or no human contact. This article discusses three species North American sportsmen seek out: the channel catfish, the blue catfish, and the flathead catfish. One of the greatest catfish rivers in North America, the Red River, flows from the U.S. into Canada. 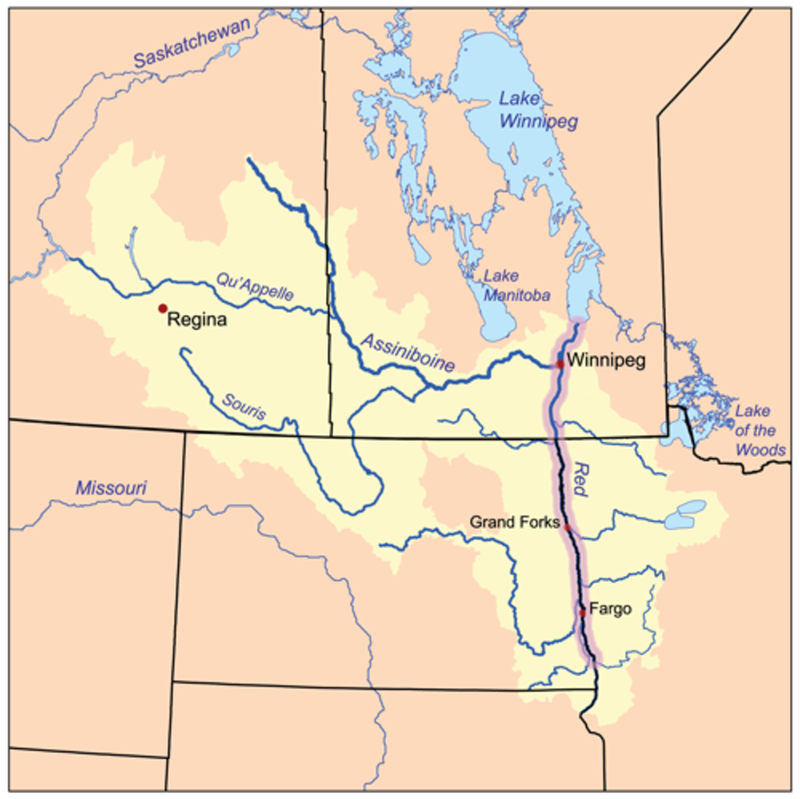 Originating at the confluence of the Bois de Sioux and Otter Tail rivers between Minnesota and North Dakota, it flows northward through the Red River Valley, forming the border of Minnesota and North Dakota and continuing into Manitoba, Canada. It empties into Lake Winnipeg through the vast deltaic wetland known as Netley Marsh. Its waters then join the Nelson River and ultimately flow into the Hudson Bay. In the US, it is often called Red River of the North to distinguish it from the Red River that is a tributary of the Atchafalaya River, between Texas and Oklahoma. The average channel catfish here would qualify as a trophy fish in most other waters, especially those from the 25-mile stretch below Lockport Dam in Selkirk, Manitoba. Studies have shown the average catfish caught here weighs more than 18 pounds, and 93 percent of the cats are more than 30 inches long. Hookups with 16- to 26-pounders are common; fish under 10 pounds are rare. Catfish feed nonstop from the time the water temperature rises above 50 degrees in spring until it dips below that level in autumn. June and early July are prime times for numbers of fish at Selkirk or the dams near Drayton and Grand Forks, N.D., but the best fishing for the river's 30-pound-plus giants is in September. If you are looking to catch a large channel cat here, try cut bait rather then "stinky' bait. Early in the season, people use sucker for cut bait; in late season many use goldeye. Try using leopard frogs if it has been a relatively wet season. 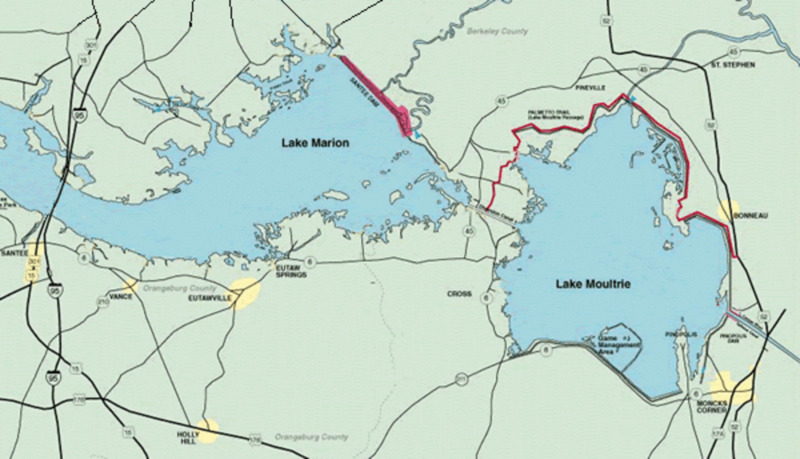 These lunker-filled lakes, Lake Moultrie and Lake Marion, could be considered the best waters for catfish in the world! They produce big cats and plenty of them. The Santee Cooper Power and Navigation Project, constructed in 1939, created these lakes on the Santee and Cooper Rivers in South Carolina. It was the biggest land-clearing and earth-moving project in the US of its time. With the big fish to be had here, and the high numbers of savvy catfishing fanatics fishing here year-round, one has to rate these waters high on the list of places likely to produce new world-record benchmarks. People fishing this area invented the Santee Rig, or Santee Cooper Rig, optimized for big catfish (see "Tips" section below). LARGE Catfish are what this spot is all about! Lake Texoma is one of the largest reservoirs in the United States, the 12th largest US Army Corps of Engineers (USACE) lake. Lake Texoma, at the confluence of the Red River and Washita River, is formed by Denison Dam on the Red River in Bryan County, Oklahoma, and Grayson County, Texas. The dam site is approximately 5 miles (8.0 km) northwest of Denison, Texas, and 15 miles (24 km) southwest of Durant, Oklahoma. Lake Texoma attracts approximately 6 million visitors a year. Blue catfish can be caught year-round in Lake Texoma, but the month of February and the first few weeks of March can be the best times to target large blue catfish. During this time of year, when the water temperatures are cooler, blue catfish are often found congregating in deep holes. 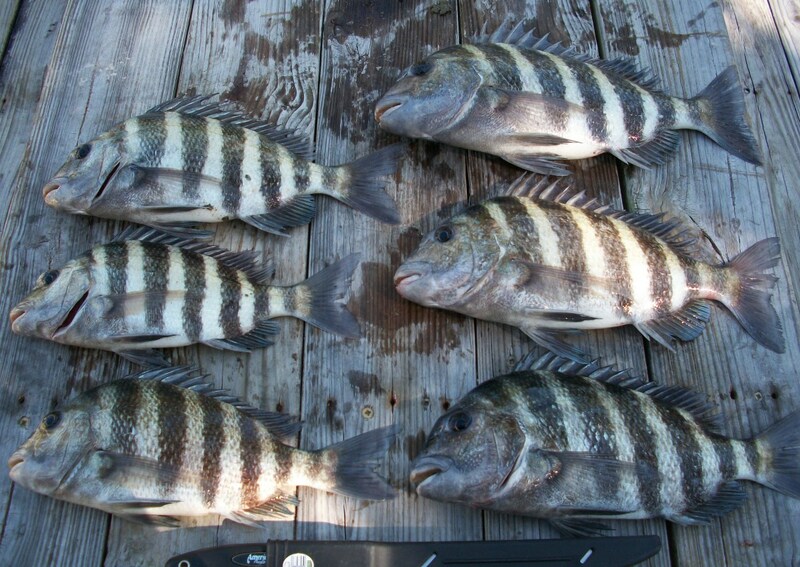 Lake Texoma has a high population of threadfin or gizzard shad, popular prey for blue catfish. Find a spot where there is some type of structure that is adjacent to a channel of deep water. Blue catfish are often found in holes or transition zones between shallow and deeper water. Look for schools of shad. When blue catfish are actively feeding, they will position themselves underneath schools of baitfish during the cooler months. Natural bait is the number one type of bait used when targeting blue catfish in Lake Texoma. 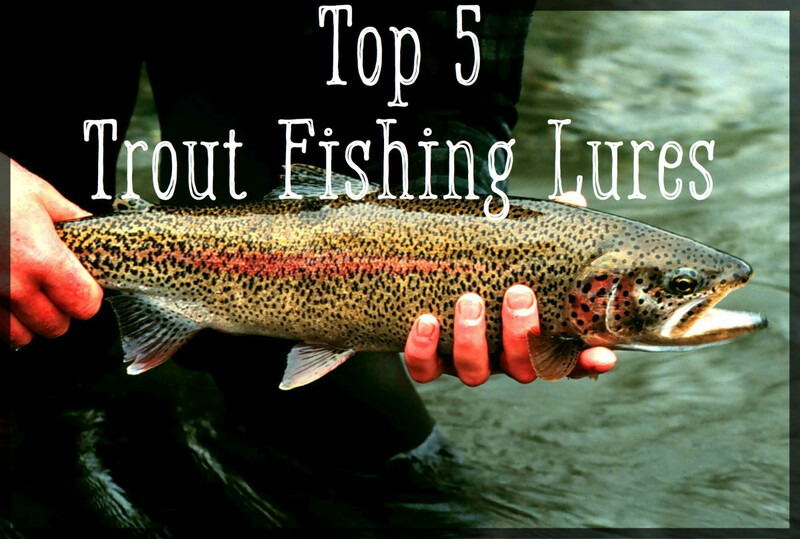 Use a heavy 7- to 8-foot fishing rod and a conventional reel that has plenty of line capacity. Blue catfish are known to be fighters and can take out plenty of line. Monofilament line will work best. You may want to go up to 30 lb. test so that you are prepared for that monster blue. Check to make sure that your hooks are sharp. Since the mouth of a catfish is made of thick cartilage, it's important that your hooks are sharp enough in order to get a good hook set. Be careful when handling sharpened hooks! Before you load up your tackle and gear, don't forget to check the local fishing regulations and ensure that you have a valid license for fishing in Texas. When talking extraordinary catfishing, the Osage and Missouri Rivers come immediately to mind. 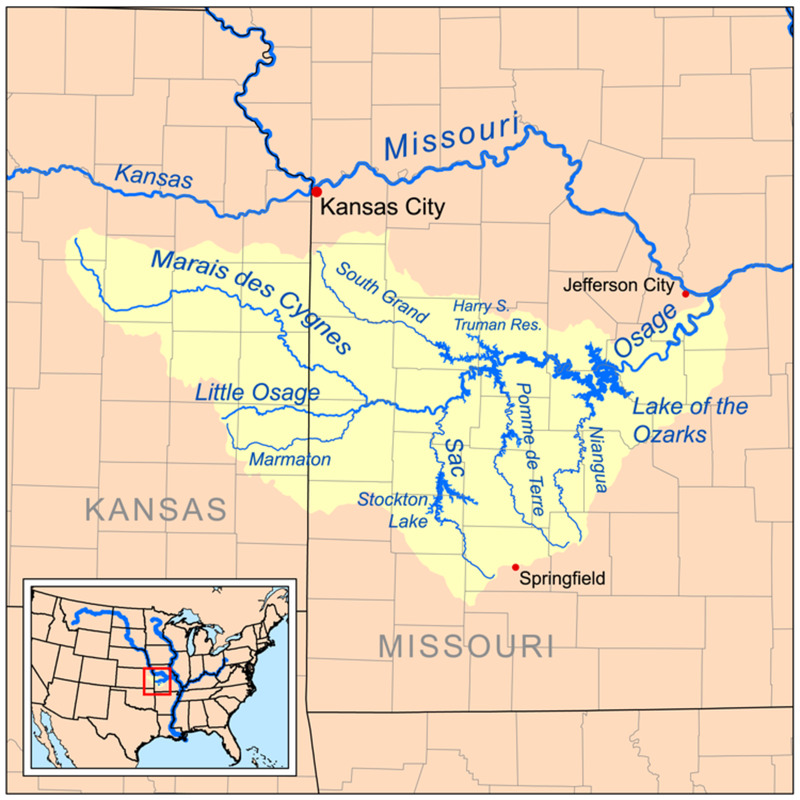 The Osage rises in southwestern Missouri, approximately 14 miles (23 km) northeast of Nevada on the Bates-Vernon county line, at the confluence of the Marais des Cygnes and Little Osage Rivers. The combined stream flows east past the Schell-Osage Wildlife Area into St. Clair County, widening into a long meandering arm of the Harry S. Truman Reservoir, approximately 40 miles (64 km) long. The lake receives the South Grand River from the northwest and the Pomme de Terre River from the south. The two arms of the reservoir join near the Harry S. Truman Dam in central Benton County. Downstream from the Truman Dam, the river becomes the serpentine Lake of the Ozarks, stretching eastward for nearly 92 miles (148 km), joining the Niangua River on the way, to Bagnell Dam in Camden County and southwestern Miller County. Downstream from the dam, the Osage flows freely to the northeast in broad oxbow meanders through forested bluffs, joining the Missouri, North America's longest river, approximately 15 miles (24 km) east and downstream of Jefferson City. The Osage River from Bagnell Dam to the Missouri River near Jefferson City gives up some wonderful blue cat fishing. Researchers from the Missouri Department of Conservation described a high-density blue cat fishery that includes enormous 50- to 75-pound fish. Local fisherman are certain there are blues here pushing the 150-pound mark. Several fishermen have released blue cats back into the river weighing 100-120 pounds, and there have been claims that others have hooked some even bigger. The Missouri River itself, which crosses the state from Kansas City to St. Louis, also produces giant blues. A former world-record 130-pound blue catfish was boated near the river's confluence with the Mississippi in July 2010, and a previous state-record blue catfish, a 103-pounder, was caught on rod and reel near Kansas City in 1991. In 1999, a 102-pound blue was taken on a trotline near Glasgow. It seems likely that 110-lb. plus fish could turn up here almost anywhere, any time. The loads of giant catfish in the Lower Mississippi are equal to any spot on this continent! The Lower Mississippi River is the portion of the Mississippi River downstream of Cairo, Illinois. From the confluence of the Ohio River and Upper Mississippi River at Cairo, the Lower flows just under 1600 kilometers (1000 mi) to the Gulf of Mexico. It is the most heavily traveled component of the Mississippi River System. Unlike the upper rivers, the Lower Mississippi has no locks or dams. The river is, however, constrained by levees and dikes to control flooding and secure a navigation channel for barges. The Old River Control Structure, the Bonnet Carré Spillway, the Mississippi River-Gulf Outlet Canal, and other man-made structures on the lower reaches of the river seek to manipulate the flow of water in the vicinity of New Orleans. If you are targeting blue catfish for the first time, your best bet is to try bottom fishing (although blue catfish can be caught on a fly rod as well, so don't be afraid to try new techniques). You can fish for blue catfish from the shore or from a boat and have plenty of success either way. The Mississippi is a magnet for giant flatheads, too. The biggest caught recently was a 77.7-pounder landed downstream from Memphis in April 2012, a new Mississippi state record. Fifteen- to thirty-pounders are as common as nickels and dimes. Forty- to sixty-pounders are caught somewhere along the river's length every day during the summer. Channel catfish are extraordinarily abundant, and catching 60 or more during a night fishing trip is simple for most experienced anglers. Most range from one to five pounds, but channel catfish exceeding ten pounds usually fill the stringers of serious fishermen. Recently this lake has been the country’s hottest catfish-producing lake. Wheeler Lake is in northern Alabama, between Rogersville and Huntsville. Created by Wheeler Dam along the Tennessee River, it stretches 60 miles (96.5 km) from Wheeler Dam to Guntersville Dam. It is Alabama's second largest lake at 67,100 acres (272 km²). 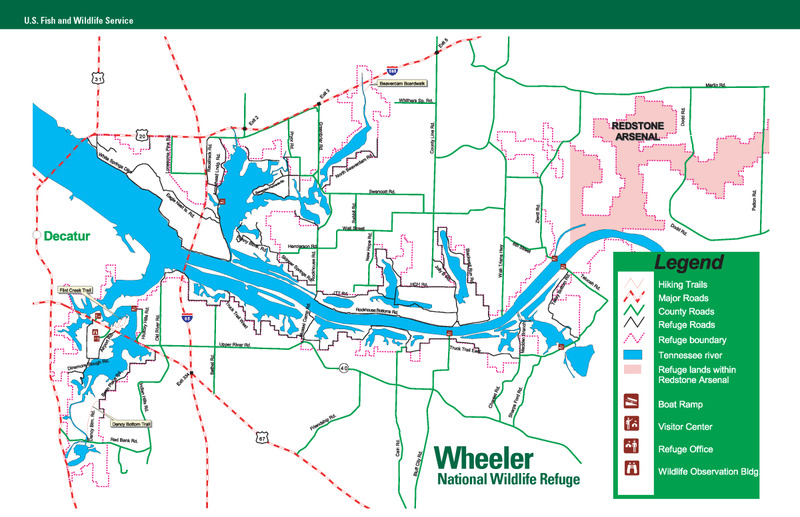 The lake includes the port of Decatur, the busiest port on the Tennessee River, and the Wheeler National Wildlife Refuge. Wheeler Lake is a major recreation and tourist center, attracting about four million visits a year. Giant blue catfish may be Wheeler's top draw, but channel cats are also a huge catch. The lake is boiling over with 10- to 20-pound beauties. 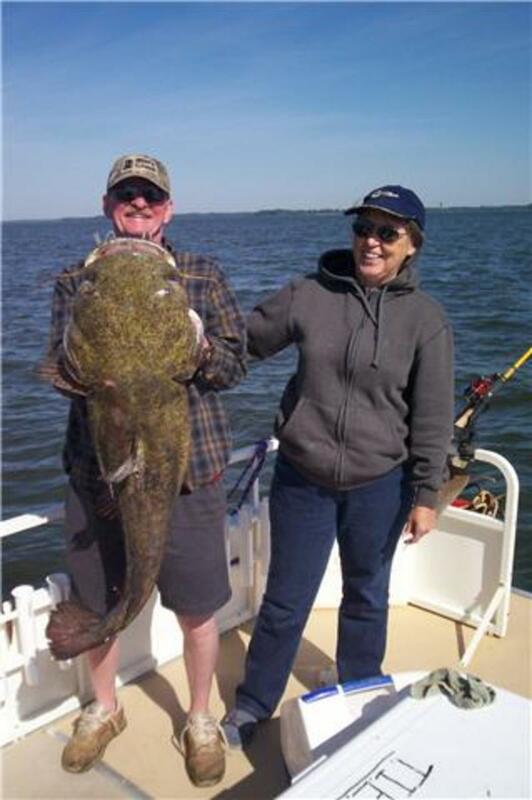 Flathead catfish are fairly common and often exceed 50 pounds, but few fishermen target them specifically. The lake recently gave up a 70-pounder in March 2012, a fish just 10 pounds shy of the state record. Fishing is good year-round, but winter fishing is where it’s at here! Although Lake Dominguez is in Mexico, it is still in North America, of course, and is one of the best lakes on this list for channel catfish. Lake Dominguez (full name: Presa Josefa Ortiz de Dominguez) is a 20,000-acre impoundment surrounded by farmland on the Rio Fuerte (the river that drains Copper Canyon), 20 miles (32 km) northwest of the town of El Fuerte, in the western Mexican state of Sinaloa. Locals fish for good-tasting small catfish but leave the big ones for trophy hunters. 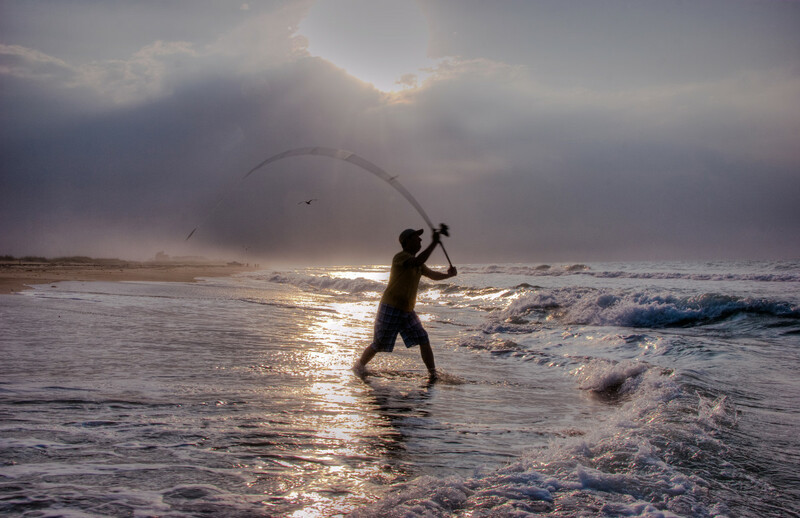 Note: Each state has rules and regulations concerning methods of fishing. The following suggestions may not be permissible in all states. Bait cut from any live fish works well, but skipjack herring and shad are highly preferred because of their oil content. 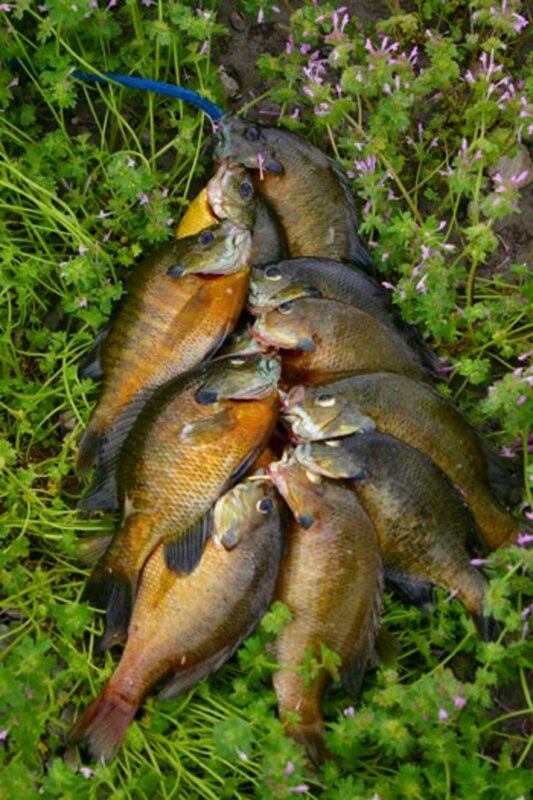 Live baits such as crayfish, skipjack herring, shad, sunfish, night crawlers (large earthworms), large minnows, small suckers, and carp are popular where permitted. Store-bought baits such as shrimp and chicken livers, various stink baits, and even artificial bass lures can be used. Generally speaking, catfish will eat just about anything. However, each species has its own preferences. Being omnivores, channel catfish will consume both plant and animal matter, so baits from any of the store-bought, live and cut categories will be effective for them. Blue and flathead catfish are predators and therefore have different food preferences; try live baits for them. And a good rule of thumb for flathead catfish is the bigger the live bait, the better! Live bait can be hooked through the eyes or mouth so it will be facing the current. But many prefer hooking the fish through the back to imitate an injured fish. Channel catfish (and even blue catfish at times) love good old stinky bait but it’s certainly not required. If you’re fishing for blues or flatheads or even larger channel cats, stinky baits might even work against you! Another option might be to cast an artificial worm that has been dipped in stink bait. Experiment with the size and weight to match the current and depth. Fish the rubber worm tight-lined on the river bottom. and a 2/0 or 3/0 hook for small catfish or 4/0 to 9/0 hook for larger catfish. Place the barrel swivel at the junction of the line and tippet. This will keep the weight from sliding down the tippet to the hook. 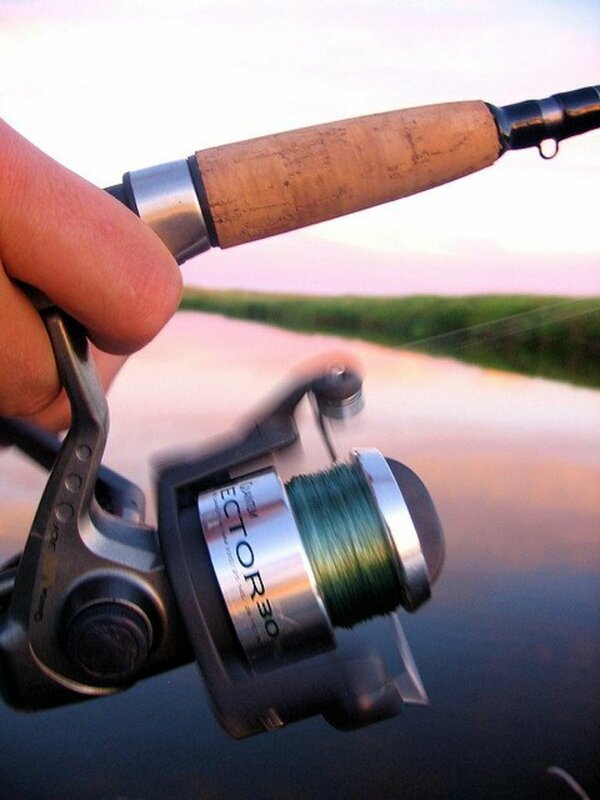 The reel should have a line capacity of at least 125 yards and a working drag system. Any bass fishing rod and reel will work for channel catfish when fishing from the bank. A line from 10- to 20-pound test should be strong enough. Hooks from 1/0 to 3/0 are big enough. A sinker heavy enough to keep the bait on the bottom should be placed 18 to 20 inches above the hook. A swivel or a line stop tied in the line will keep the sinker from sliding to the hook. A sharp hook catches more fish. The Santee Cooper Rig or "Santee Rig" is a slight variation of the slip sinker rig, the most basic and well known catfish rig, and that slight variation can often make a big difference when it comes to putting fish in the boat. It is a favorite among anglers who target blue and channel catfish but can also be used to target flathead catfish as well. It’s popular for drift fishing and anchored fishing as well and can be used when fishing from a boat or from the shore. Part of the effectiveness of the Santee rig comes from its simplicity. The rig is easy to tie and easy to cast but the secret to success is in the peg float or cigar float added to the leader. By adding the peg float, you lift the bait up off the bottom of the lake or river and catch more and larger fish. 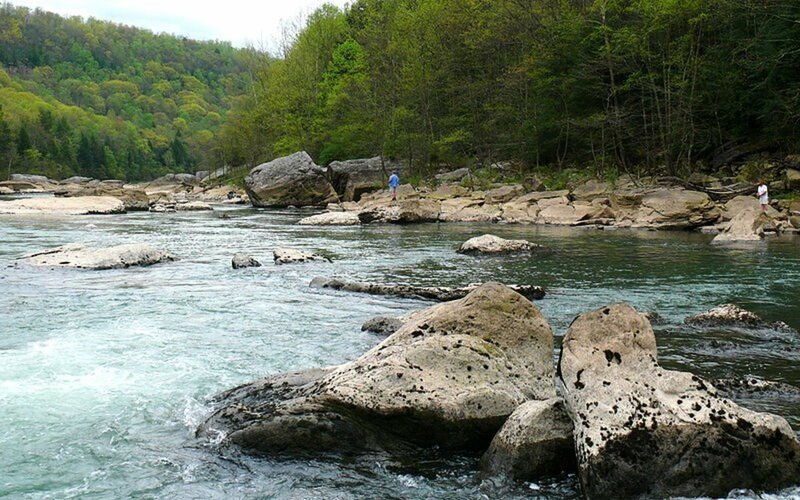 Position yourself upriver of a plunge pool or along the edge of the main river channel so that the bait will be on the river bottom at the upriver edge of the drop-off. If there are no bites within 20 to 30 minutes, let out more line (cast farther out) or move to another hole. Almost any area will work when fishing from the bank. Look for banks which have a fairly large embayment (indentation/pocket) with a point on the upriver end. The current frequently flows upriver along the bank inside these pockets. Cast a line from the upriver point into the area where the pocket current meets the downriver current. Or cast from the bank towards but not into the downriver current. Watch or feel for the rapid taps of a channel catfish. Keep the line tight, but don’t set the hook until he takes the bait, indicated by a solid steady pull. A large fish will usually just take it. Small catfish will often give the rod tip several light, quick twitches in succession. The larger fish will generally give a hard, solid yank followed by slack line. If you are having trouble snagging and losing tackle, switch to a bobber and drift-fish the pocket. Experiment by adjusting the line for different depths. If the hook is snagged, or a sinker is wedged between rocks, you can wrap the line around a boat paddle or short dowel. Pull on the paddle or dowel to dislodge the hook/sinker without damaging the rod or reel. Depth finders are useful not only to keep you in navigable water but also to locate deep holes where catfish may be found. Fishing for catfish often means fishing in fast current, so be extra careful when dropping anchor or tying a boat to dikes or trees. Always point the bow (front) into the current and never let the bow dip into the water. Fast currents are very difficult and sometimes dangerous to fish from a boat. Watch out for cottonmouth and copperhead snakes, especially in the Southeast and especially where dikes meet land. A forked stick stuck firmly into the sand within a yard or so from the water’s edge makes a good rod holder. Commercial rod holders are available that have bells that sound off when a catfish strikes. If using a rod holder, be sure the reel is on free spool or that you can grab the rod quickly, or tie a safety line to it. Many rods have been dragged into the river by large fish! If you are fishing with kids, remember to use a variety of bait sizes. While you yourself may be hoping for a large fish, it's a good idea to rig some small baits on a lighter rod to encourage consistent action. 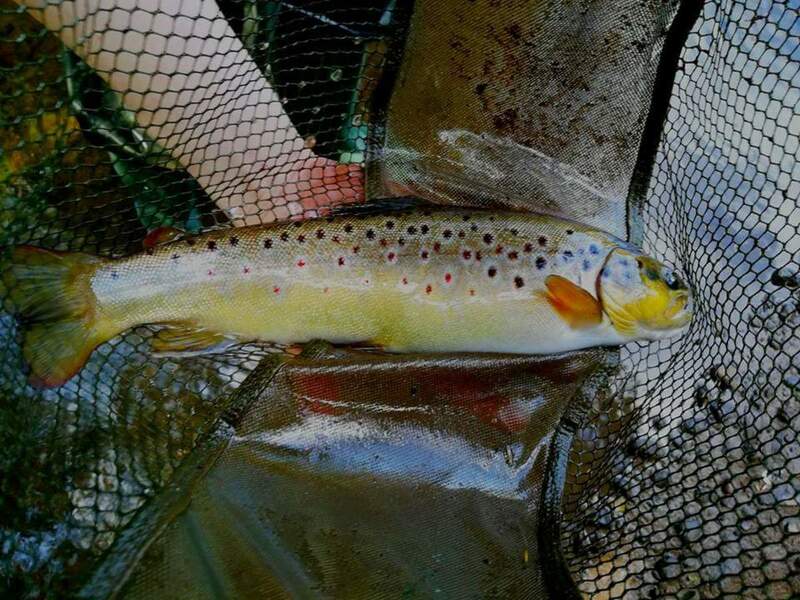 More action, even from smaller fish, will help keep the kids entertained. Thank you, loyal readers, for joining me in the love of catfishing! I hope you enjoyed these tips and tricks. Good information. I travel a lot in my work, so if I end up near any of these spots, I'll give it a try. Good article.